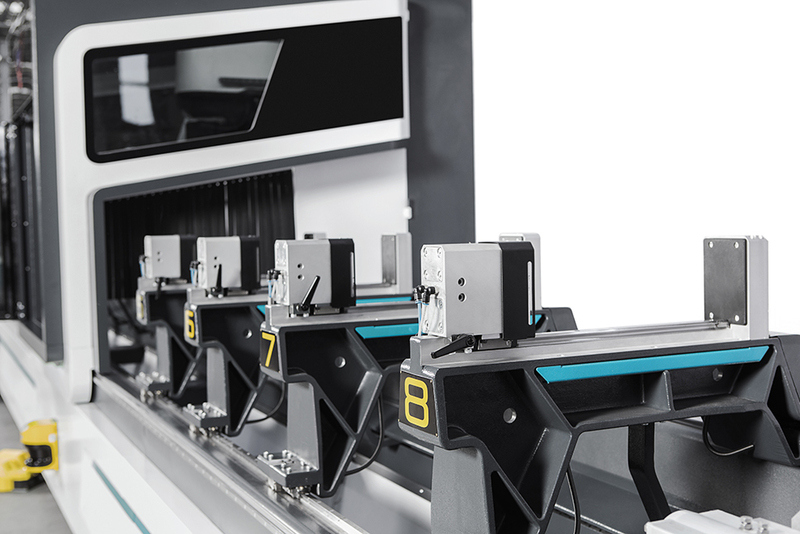 It is aimed to provide a visual integrity in the design of the machine which consists of many parts and sections different in size and function. The design approach is built on the keywords ‘fast’ , ‘strong’ and ‘innovative’ which are promised by the product’s technology and performance. 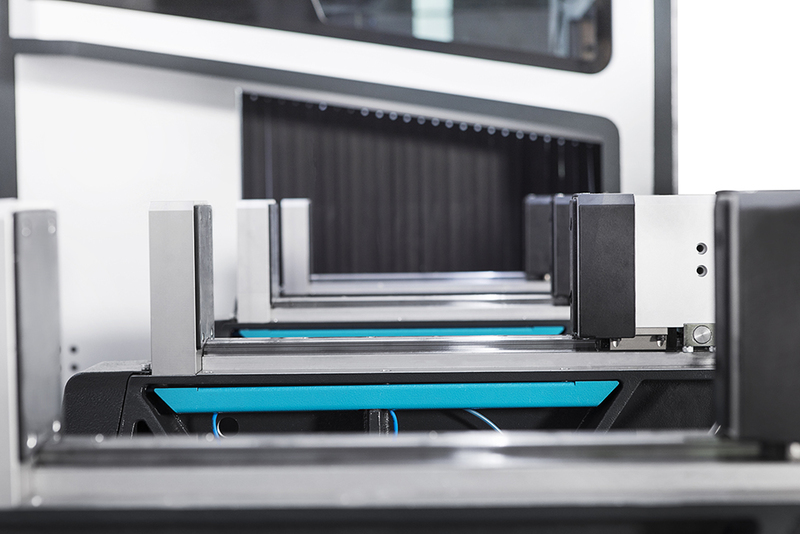 A double railed, high speed, bridge type machining center cabin is used on the product. The cabin’s layered structure and the form reaching down the chassis frame emphasizes the strength and durability of the product. 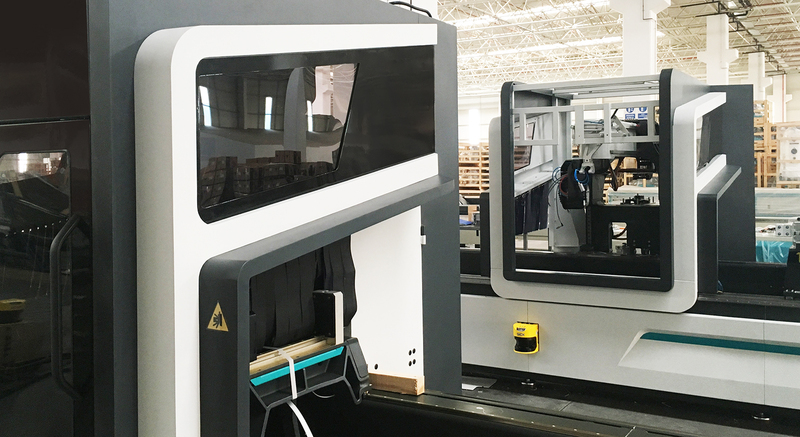 The door of the machine is kept as large as possible to provide a better control and service area to the user. Thanks to the clamps on appropriate position, the operator can load the material easily. 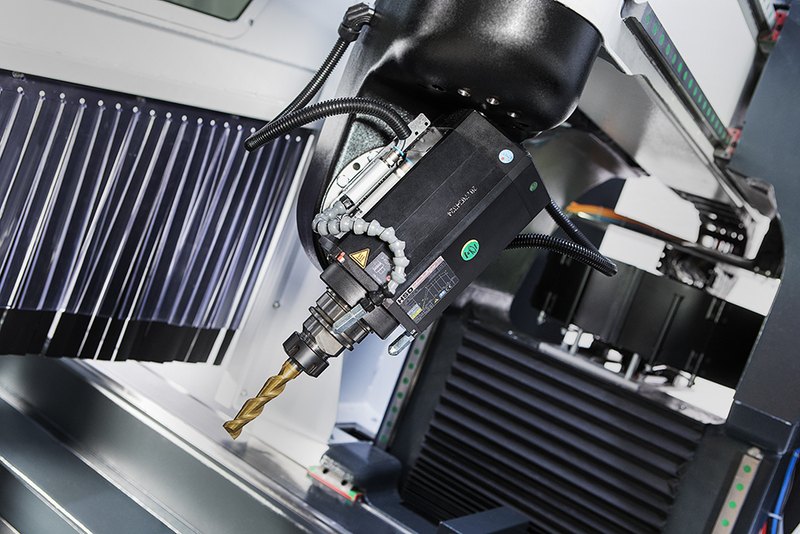 The machine can be used in tandem mode, a work method that allows machine stop times to be reduced to a minimum as it allows workpiece change time (loading/unloading) to be run while the machine is operating. Angled side windows and sawdust guards add dynamism and difference to the design. The cabin’s outer cover surrounds the cabin with flowing and continuous surfaces. 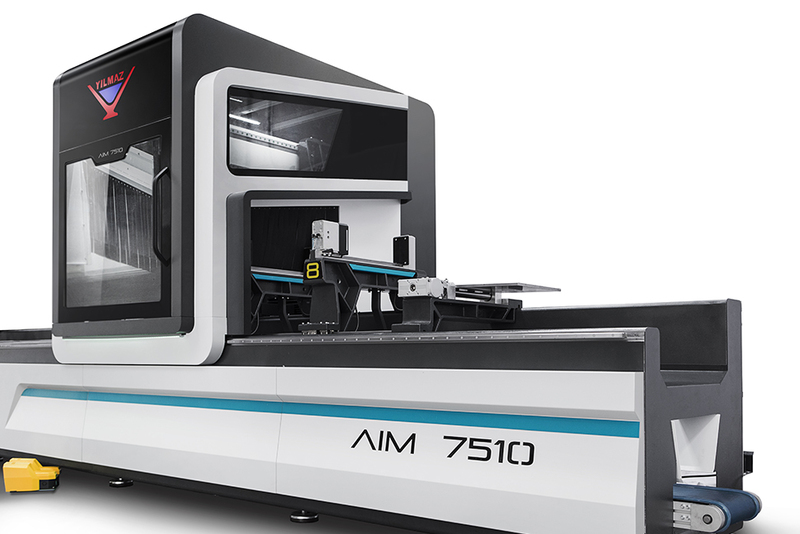 AIM 7510 can be available in 3m, 6m and 9m machining lengths without requiring any new work, thanks to its modular chassis frame and cover structure. Double railed clamps are specially designed for the product.